Banking giant Maybank Group has signed a partnership with the Wealth Management Institute (WMI) of Nanyang Technological University (NTU), Singapore, to establish the Maybank Wealth Management Academy (WMA). Targeting 1,200 sales staff, wealth specialists, and managers, the academy will offer curriculum across the bank’s three client segments (private, premier, and privilege wealth) in eight of Maybank’s markets, namely Malaysia, Singapore, Indonesia, Philippines, Hong Kong, Cambodia, Brunei, and London. 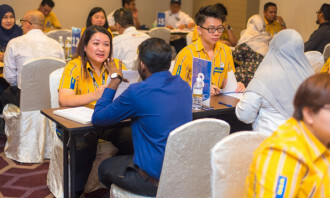 The first phase will see more than 150 Maybank relationship managers, client advisers, wealth managers and specialists from Malaysia, Singapore and Hong Kong enrolled in the inaugural course currently being held in Singapore and Malaysia. All programmes are accredited by IBF, the national accreditation and certification agency for financial industry competency in Singapore. The three courses are: WMI’s Private Banking Wealth Management Programme (PBWM) accredited at Institute of Banking and Finance (IBF) Level 1 Private Banking, a customised version of PBWM, as well as an in-depth Investment Advisory programme accredited at IBF Level 2/3 Private Banking. Maybank is the first Malaysian bank to roll out a regional wealth management curriculum with WMI. The launch was held in Kuala Lumpur, which saw Maybank Group’s chief human capital officer, Nora Abdul Manaf, and the CEO of WMI, Foo Mee Har signing the partnership agreement. Speaking at the event, Nora said that the WMA is one of the bank’s key initiatives in becoming the region’s top community bank, and will complement its digital upskilling initiative – the FutureReady upskilling programme. Alvin Lee, Maybank’s head of group wealth management and community financial services Singapore, cited that the wealth management sector in APAC is expected to surpass US$40 trillion in assets under management by 2025. 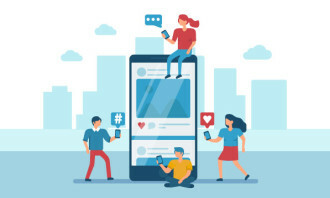 Incentivising teams to make healthy choices can double physical activities from 6.9 to 13.4 activities per month, affirms Cara Ang..
Sydney Finkelstein reveals the single biggest problem we face in selecting country presidents, board leaders, or even sports coach..